In a laptop , a touchpad is often used for enabling the mouse movement. For laptops in absence of the mouse, the touchpad acts as a pointing device. Is it possible to disable a laptop touchpad ? The answer is yes. Read below instructions to understand how to disable a laptop touchpad. In absence of touchpad a normal mouse can be connected and used instead. There are basically 2 types of pointing device for laptops one is the touchpad – a flay area beneath the keyboard and the other is a pointing stick – a small button on your keyboard also known as trackpoint. The touchpad responds to the movement of the fingers and accordingly the move movement occurs. 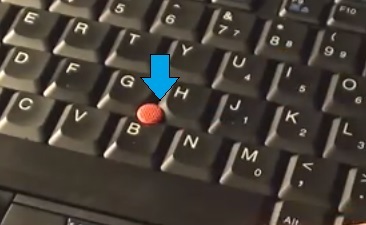 The trackpoint responds to the movement of the stick according to which the mouse cursor moves. The touchpad provides the full functionality of the mouse including the click, double click and scroll. However many people find it more comfortable to use a mouse instead of a touchpad. If you are using a mouse with a laptop, then you might run into many scenarios wherein the touchpad is a obstacle in your work. Scenarios wherein you are typing a long document and accidently your hand or fingers touch the touchpad and the mouse moves to a different location making it difficult to type or since you already have a mouse as a pointing device there is no need of any additional one. For many such instances there you might want to disable the touchpad maybe temporarily till you are typing or using the mouse or permanently. There are many different ways to disable a touchpad. It depends on the brand of your laptop. Below are some of the ways in which you can disable your touchpad. Some laptops have a dedicated button on the keyboard to switch OFF/ON the laptop. Look for a dedicated button at the top left corner of the laptop or just below the space bar. if there is a button there then that can be used to disable the touch pad. If you press the button there will be a message displayed on your screen informing about the change. 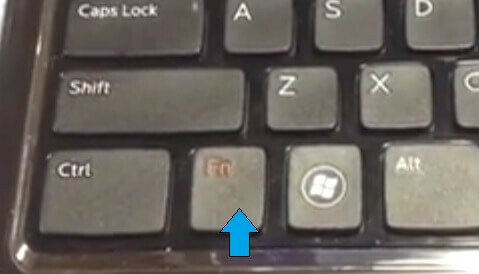 If there is no such button on your laptop , then you might use the ‘Fn‘ (called as function) key + another additional key. The function key enables you to perform certain secondary tasks. The Fn key is generally differently colored (generally red or blue) . The additional key to be used varies depending on the laptop. It is typically one of the function keys (F1 to F12) with icons which are of the same color as that of the Fn key. For touchpad the button might be displayed with symbol for identification. If you are not able to identify the button then you may just type in your laptop model name and ‘disable touchpad’ in google and search for the key. Once you get the key you can press the Fn+ additional key to disable your touchpad. Once you do this there will always be a message displayed on the screen informing about the change. 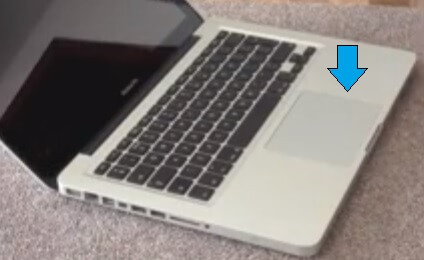 In some laptops there is a touchpad icon displayed in the system tray. You can click on this icon and this will display all the properties of the touchpad that you can manage. Check the option to enable or disable the touch pad and use it for your the purpose. If you are not able to use any of the methods mentioned above, then you can disable a touchpad from the control panel. Navigate to Windows Start menu->Control Panel->Mouse option. A dialog box will be displayed. Select the tab for the touchpad (the name of the tab differs and will depend on the type of laptop being used). Here the options to disable the touch pad will be displayed. Select the options and click ‘Apply’ and ‘Ok’ for the changes to take effect.